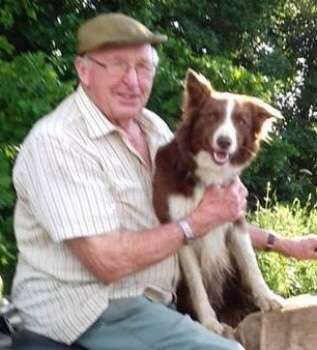 Stolen from CHASTLETON (A VILLAGE IN THE COTSWOLD HILLS IN OXFORDSHIRE about 4 miles northeast of STOW-ON-THE-WOLD on the boundaries with both GLOUCESTERSHIRE and WARWICKSHIRE) GL56 area, South East on 20th July 2018. Socks is a 2 year old collie. She is reddish brown and white. She has gone missing, presumed stolen. She has not been seen since mid July when she went missing from around the family farm in the North Cotswolds. It is possible that her chip may not be responding to scanning and she has been rehomed. If you have seen a dog like Socks in your area, on walks, possibly a new addition to a family who have rehomed her in good faith from a rescue, a new working dog on a farm or a similar dog who has been newly registered at a vets or dog training, please consider whether it might Socks. If you spot her, or even think you have seen something that might help us find her please contact the numbers on the posters She might be anywhere in the country by now, so please just keep looking. To date we have followed up all the leads/ possible sightings from the public but to no avail but we shall continue to do so. We desperately need your help to keep Socks in the public eye and make her too hot to handle. In the meantime, thank you for your vigilance and your continued support to find Socks; we really appreciate it. Socks is out there. We need her home. Socks is a young dog who needs to be safely back home. ❗️THERE IS NOW A SUBSTANTIAL REWARD FOR INFORMATION LEADING TO THE SAFE RETURN OF SOCKS. All information will be treated in the strictest confidence.